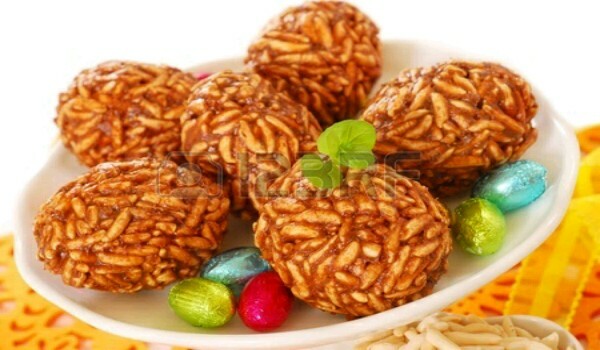 Rice Toffee is a very popular recipe. Learn how to make/prepare Rice Toffee by following this easy recipe. Combine jaggery with ghee in a pan and cook on low medium flame, until melted. Bring it to a boil and remove from heat immediately. Stir in puffed rice, salt, and ginger powder. Transfer the mixture into a buttered dish and spread out evenly. Cut the mixture into squares before it gets solid.